How to successfully raise earthworms as a home-based business. My Worm Farm Business blog is written with the beginner worm farmer in mind. However, anyone looking for more information on how to successfully raise earthworms can pick up a thing or two here as well. Over the years, I've received many calls from folks wanting more information on how to take care of earthworms without killing them. I know where they're coming from 'cause I was once a "newbie" myself. Putting information into a blog seemed a pretty good idea. Saves me a lot of time and gives folks a place to come for information and to ask questions. I also felt an obligation to give my worm customers the information I wish I'd had when I first started out. A lot of the tips and how-to's I share with you comes from bitter experience. If I can keep you from making the same costly mistakes that I made, then my efforts here are serving the purpose I intended. So, thanks for stopping by. 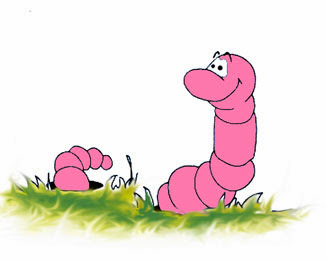 Hope you find information that is helpful and makes your worm farming business adventure a little less adventurous. "Worm Farm Manual: Step-By-Step Guide to Raising Earthworms". .... to my blog about raising earthworms for profit. 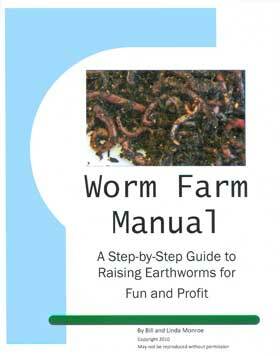 Come back from time to time for useful, practical information on worm farming. 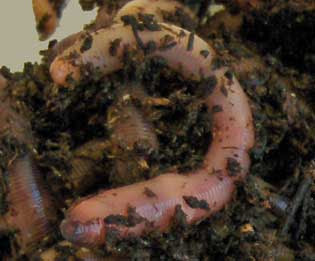 Get started worm farming as a home-based business. Step-by-step, easy-to-follow instructions that anyone can do. How-to's, tips, and trouble-shooting solutions. European night crawlers are in very high Demand. Fishermen love them and they're easy to grow. Reliable source. Information contained in Worm Farm Business blog is for general information and entertainment purposes only and does not constitute professional business advice. Examples and results presented here are experiences of the author and may or may not reflect the results others may receive. All business ventures should be entered into with caution and advice from business professionals should be obtained. "How do I make my worms grow bigger?" 2010-2015. Picture Window theme. Powered by Blogger.